It is freezing and it is early. These are reasons we hear for the decidedly sparse turn out for Ghostchant‘s opening set for what is billed as the night for leftfield electronic music this winter. Both are true. Ghostchant’s set starts at about half 7, an odd move for dance music, but he owns it his drawn out beats ring through the high ceilinged upper room of the East Village Arts Club. It is a confident performance and the depth of the sub bass alone is impressive, pouring itself thickly through the room, intertwining with the higher registers and creating a pretty immersive vibe. It is still thin on the ground when Brolin arrives on stage, masked and polo’d, his black new era making him look like a modern Zorro.. He’s confident and assured on stage, cracking jokes with the audience and its obvious that he’s got a feel for his vocals as he twists around the stage, mic in one hand and full of energy. Brolin’s set up utilises a live drummer, whose kick drum was hooked up to a deeply satisfying distorter, pushing bass drum through the room and your eyeballs. Unfortunately the drummer was just that bit disconnected from the performance, drowning out several of the loops that comprise the bulk of Brolin’s songs, leaving his voice isolated and directionless . It’s on ‘NYC’, the penultimate track, that we achieve the same clarity and minimalism as on record, the decision to play the samples live meaning the beats finally rise through the drum work. All the while the room is filling up from the back and Brolin finishes his set to a larger, more appreciative crowd to the one he starts with. Gold Panda melds into the background as he starts his set, his black hoodie making him seem a mere floating face, Wizard of Oz-like, above his analogue set up. In an instant all this is lit up as psychedelic visuals course over a screen behind him, leaving only his incredibly impressive head-bop amongst a sea of shifting shapes. The mixing desk in front of him is intimidatingly large and the confidence with which he manipulates the array of knobs, dials and buttons is nothing short of sublime. Despite the early start time, it is only 9.30, the crowd responds instantly with a shuffling, head nodding dance as the melody of ‘Casio Daisy’ rises out of the glitchey start up. The the set runs together on the consistent bass, the melodies of tracks from latest album Half of Where You Live rising and dying over it as they change. The habitual problem for electronic artists is how to make a live experience different from the record? 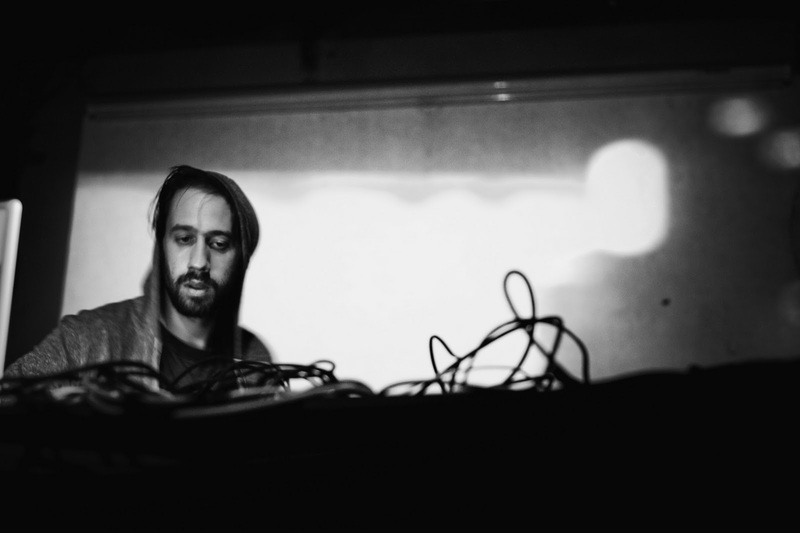 Gold Panda’s response is to chop and screw the melodies, mixing live to recreate and blend his tracks; glitchily ‘Brazil’ becomes ‘Snow & Taxies’ to ‘Vanilla Minus’. These changes are masked by severe stress though, the repetition of tiny melodic samples, start-stop style, feels like a scratched CD. It definitely robs the introspection and soul from tracks, something Gold Panda does so well on record. In the end the effect is migraine inducing, the live rendition of crowd favourite ‘You’ becomes ten minutes long as the sample is replayed into fuzz. This takes skill and large parts of the crowd respond well when each sample is finally revealed; the closest you’ll find to the drop many seemed expect. Ultimately though it was unfulfilling; I left the night happy to have seen a great craftsman but suffering from a mild case of PTSD.